Update: congrats to Kim C. for winning this giveaway. Happy Friday and happy National Doughnut Day! I wish I could be sharing some donuts with you guys by passing it through the computer screen. But alas, we don’t have 3D printers that can do that just yet. So instead today I will be sharing some of my recent favorite finds in a new segment of the blog called #FridayFinds. As a blogger, I get a lot of clothing and beauty products sent my way, so much so that it’s becoming difficult to store and organize them in my small one-bedroom New York City apartment. Out of this “problem”, an idea came to mind: why not have a segment where I not just share my faves with the readers, but also share the love through a product giveaway? So obvious spoiler alert: there will be a giveaway at the end of this blog. Read on to discover my faves and find out how you can win some awesome goodies. Before we move on to my fave list, by the way, the rubes at FTC requires me to let you know that there may be affiliate links below. I have a lot of product that I like, but very few that I really LOVE. This one falls squarely in the latter, more exclusive, category. If you’re a reader of the blog, you probably heard me complain a lot about my skin. Really though, adult acne is just the WORST! I mean come on universe, I’m a 30-something who has to deal with fine lines and wrinkles, can you not cut me a break with the acne? 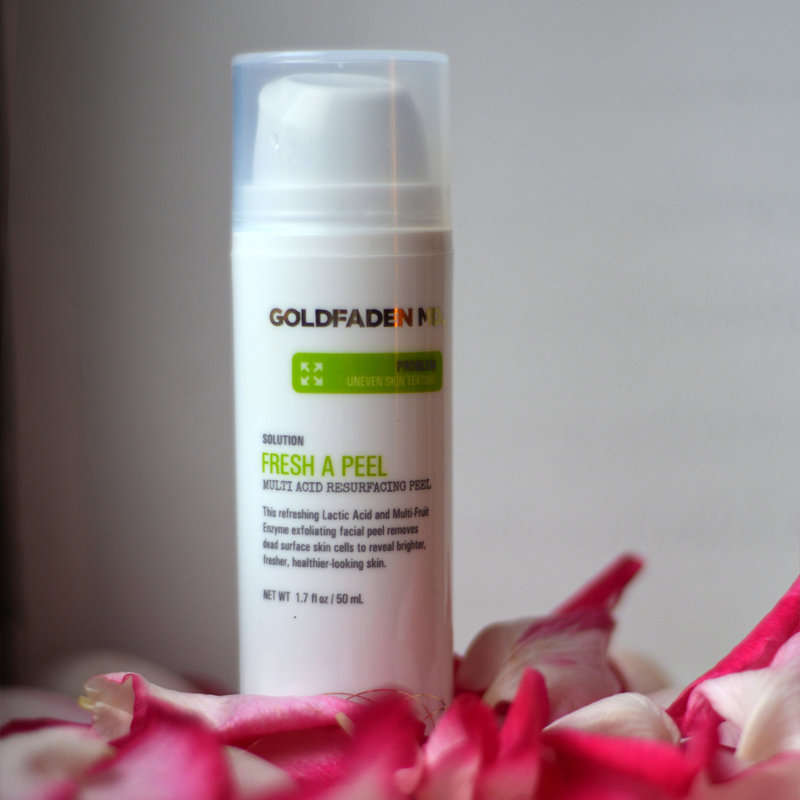 Thank god for Goldfaden MD Fresh A Peel that helps me tackle both at the same time. I seriously saw a difference with just one use — my skin was softer, more supple, and I saw reductions in blackheads cropping up. At almost $80 a pop, the price is a bit steep, but let me tell you guys that it’s totally worth it. I may have gotten this first bottle for free, but I will gladly pay for the next one. I used to be an avid fan of the gel-mani. That is up until I realized how much it can really ravage your nails. After constantly having gel nails for the better part of last year, my nails were weak and peeling. I knew I had to do a detox and find a better solution. The problem is I’m always so rough with my hands, it’s honestly a miracle if my mani survive past a couple of days. I needed a solution that is nail friendly but will also last a good amount of time. Enter: Dr. Dana. 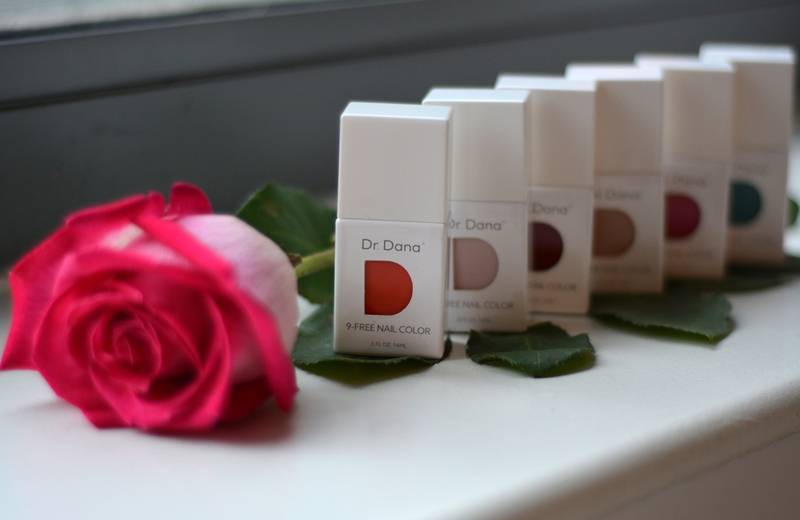 Since it’s dermatologist developed, you know they have nail health first in mind. My Dr. Dana polish has been lasting me about a week before they start chipping. And the best part is when I take them off my nails still look great naked: no peeling, yellowing or brittleness. Summer and rooftop season is here, which means that sun care is becoming even more important. I usually make a point to wear moisturizers and foundation with SPF on them, that way I always have a “base” protection from the harmful UV rays. But in the summer, I’m definitely out in the sun much more so I need that extra protection. Plus you really should reapply sunscreen every few hours when you’re out in the sun all day. Typically my favorite kind of sunscreen is the spray ones since it’s so much easier to put on and reapply than the lotion kind. But I find that sometimes the spray can feel a bit tacky and oily. Supergoop’s mousse sunscreen gives you the best of both worlds. 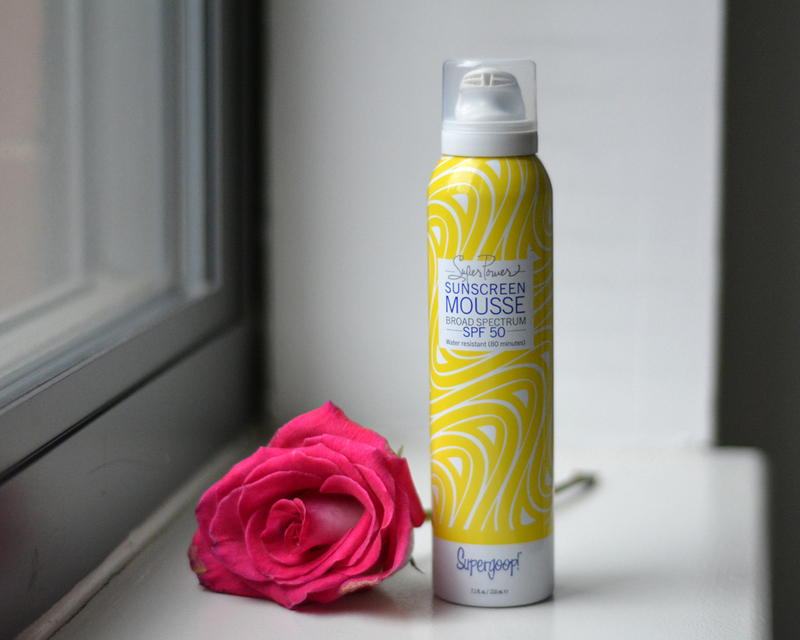 The texture of the mousse is non-tacky and just as easy to apply as the spray. I gotta admit, my most favorite part about the fourth item in my favorite list is the name: Bitchstix. I just like saying it. Bitchstix. Bitchstix. Bitchstix. It’s like summoning Beetlejuice or something LOL. I’m the kinda girl that has “emergency” lipbalm in every purse and jacket pocket. So why not get ones that comes with a fun name? Even better, all of the net proceeds of the sale goes to domestic violence and sexual assault prevention programs. So you get to help others while keeping your lips soft and chap-free. Living in a small one-bedroom apartment can be rough when you’re nose its sensitive to odors. While some of it I can control (like cleaning the cat-litter box often or refraining from cooking strong-smelling food), some of it I really can’t (like my neighbors burning their cooking or lighting up a J). So I go through a lot of candles to counter those undesirable shared-living smell with much nicer scents, like rosemary and lavender. 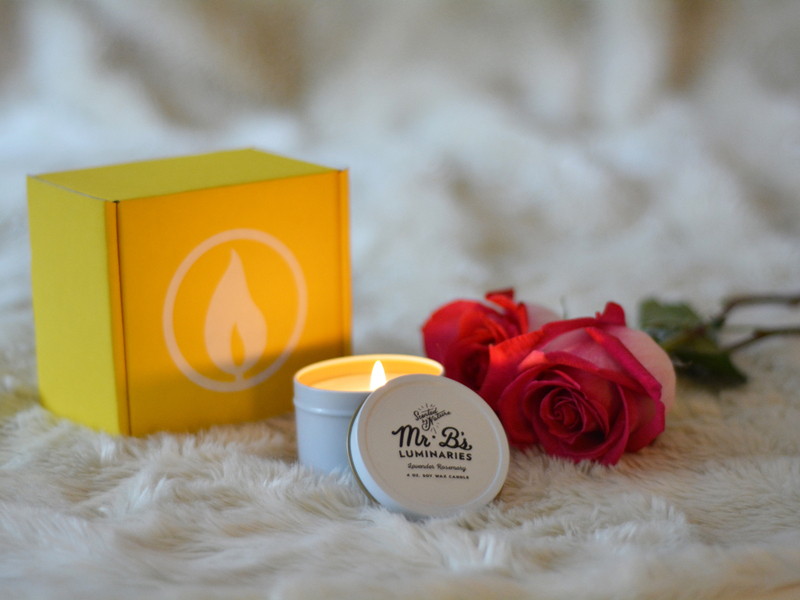 Gotta love services like Vella box that sends me candle goodies monthly so I don’t ever run out. OK this last one is not really a secret find, because I’m sure many of you are familiar with Charming Charlie. I just love going to one of their stores. It can be a bit overwhelming sometimes, because they just have so much goodies there that it can be hard deciding what to get. One of the things I love the most about them is their affordable price. So I can try out new accessory trends without breaking the bank. 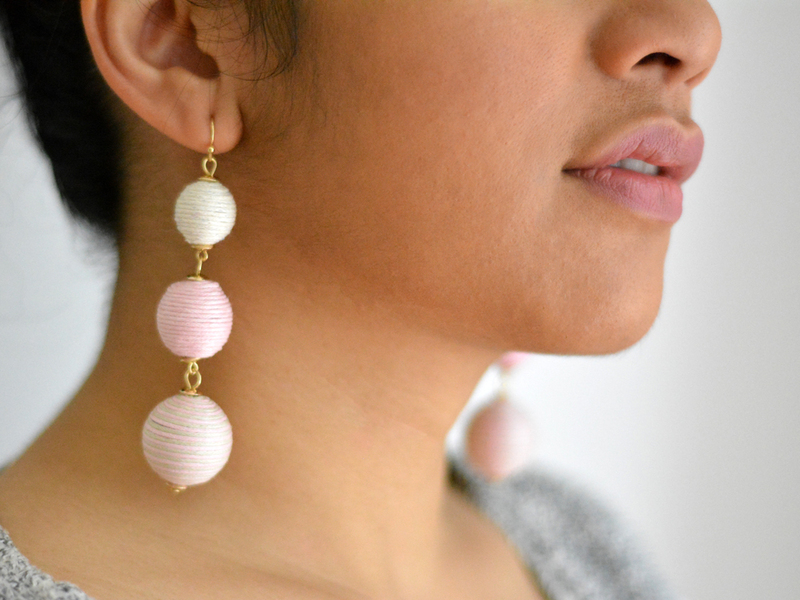 And just because I love you guys so much, I’m giving a $50 gift card to one lucky winner, which really can get you quite a lot at Charming Charlie (including this super cute earrings). I’d love to get a new crossbody bag and some sunglasses! Lovvvve your blog! What would I buy from Charming Charlie? New summer accessories! I’d love to get some cute new earrings! Maybe some 4th of July themed ones like the spangled stars hoops. I would get the Be Happy Pouch Trio and Wallaby Mama Bag-in-Bag. I always find way too much at Charming Charlie!! I am needing a new pair of pumps or maybe a fun kitschy bag for summer! I love a great floppy beach hat, so I’d get the POM POM FLOPPY HAT if I won. I like the cross bags so I would get the Kamiah Studded cross bag. I would buy new earrings and a choker necklace with the gift card. I’ll get the Shimmy Tassel Earring in Rose Gold and the Pave Healing Stone Necklace in Light Pink with my Charming Charlie gift card! I would get the SOUTHWEST LONGHORN RACERBACK TANK. Im really in love with the GRACE HALO STRETCH BRACELET. It would go great with my rehearsal dinner dress for my wedding. i like the “I’m done adulting, let’s be mermaids” mug! 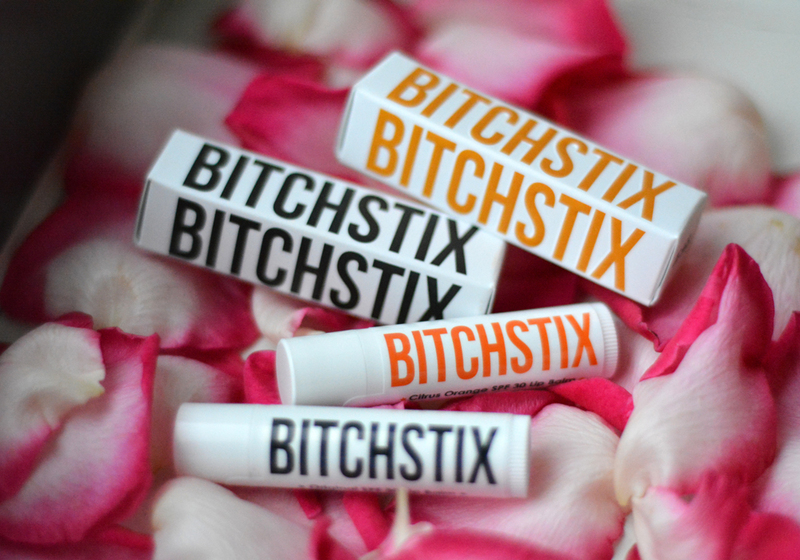 Never heard of Bitchstix until now–thanks for the head’s up! I would get the Color Pop Pom Hobo and Pom Tote bags. I need some new bags and these are cute. I would like A STAR IS BORN EARRINGS and then I would shop around for some other earrings. Too,many to chose from, but I like the azalea off the shoulder top. Just discovered this store a few years ago in Brentwood, CA and they have the cutest things! I will be shopping the fragrance collection. I would probably give the gift card to my 20 year old daughter as she wears more jewelry than I do. They had some very cute Boston Terrier/French Bulldog jewelry last season. I’m in need of a black bag so I would get that if I won. I’m in desperate need of a new wallet! Hoping for a hot pink one! I would put it towards a new handbag – they have such cute, colorful ones this summer! I would pick up the TASSEL IPHONE CHARGER KEYCHAIN and the FANI OVAL PERFORATED SATCHEL!!! I would love to get some new sandals and a pair of sunglasses. Oh, man, it will be so hard to narrow down – they have so much great stuff! I love the SUNDAY FOLDOVER CROSSBODY!!!! I would get the Avielle striped peplum top and the 9-to-5 wrap dress. I would love some jewelry! I have seen they have some pretty awesome bags as well. I’ve been needing a new cardigan so I might pick the Mixed Media Cardigan. I would get the Ladybug Glitter bag for my daughter. In need of a new wallet! Thanks so much! I would get some cute, new summer jewelry, something with tassels. And def some sandals :) Love Charming Charlies! I would buy a blouse or a bag. I would get new earrings! I just got my ears re-pierced and can’t wait to wear earrings again! and could wear it with just about anything. 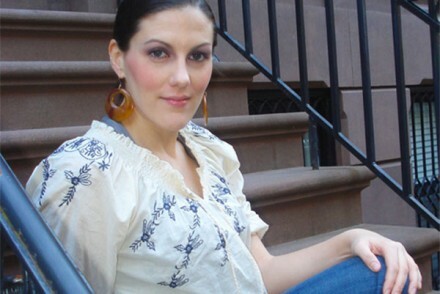 I love having chambray tops because you can throw it on with just about anything and go. I love the magnetic metallic shine bracelet and would definitely get it if I won. something cute and beach themed! idk for sure because I’ve never been in their store. I would love the Lena City Tote! I would get some new jewellery and sandals never can have enough of both. I would get the POPSICLE POOL FLOAT,CHOOSE HAPPY TRAVEL MUG and the BLANCHE CROCHET LACE TOP with my Charming Charlie gift card. Some peasant dresses and probably some jewelry.